Invited to submit a proposal on TenderBoard? 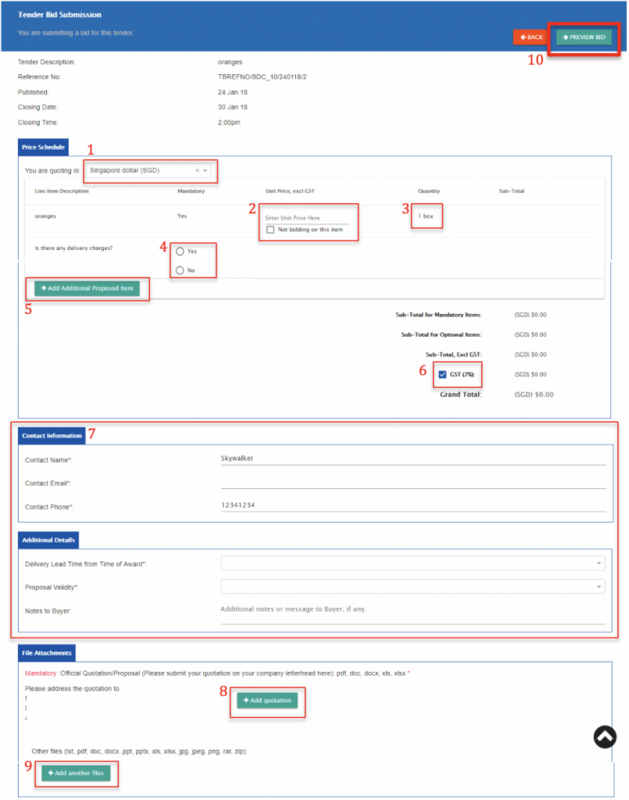 Follow these steps to submit your proposals to your customers! a. When invited to participate on TenderBoard, you will receive an email with a summary of the deal and a link to retrieve the details and submit their proposal. b. 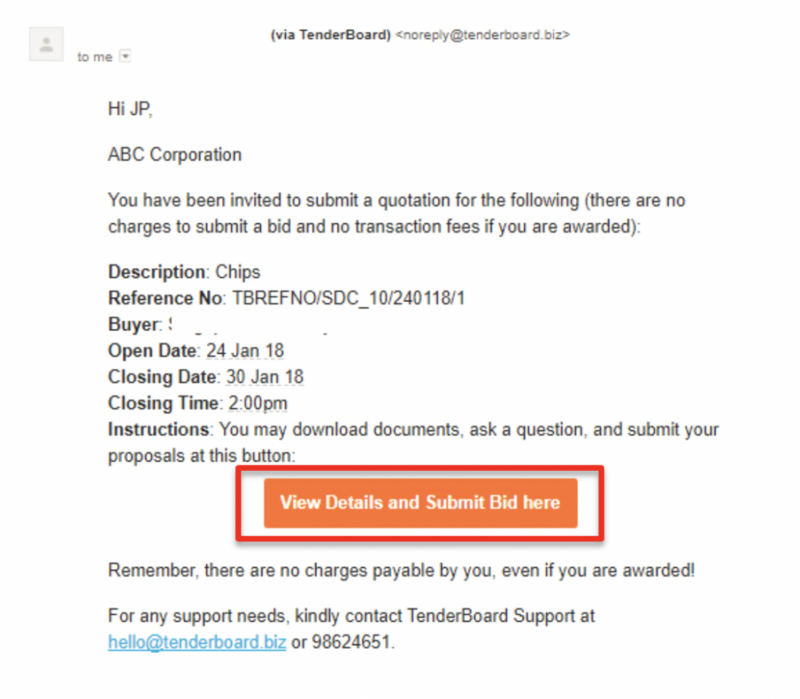 When submitting a bid for a searched tender on TenderBoard, click on the tender title in the search page. c. When you’ve clicked on the email link or tender title, you’ll be brought to a page with tender details, and you can submit your bid. You could Ask a question, Register for briefings (if needed), Decline to Quote, and Submit their proposal. d. When “Submit your bid” is clicked on, you will be brought to the bid submission page. Fill up the required information, which has been marked in red below. When you are ready to submit, click on “Preview” to go to the preview page where you can check the entered information before submission. e. When ready to submit, click on “Confirm”. f. After submitting bid, you’ll be brought a summary page letting you know the bid has been submitted. g. You will also receive an email confirming that your proposal has been received.